Answer: The ancient Maya used lime for both. Lime is a calcium-containing inorganic mineral in which carbonates, oxides, and hydroxides predominate. In the strict sense of the term, lime is calcium oxide or calcium hydroxide. It is also the name of the natural mineral (native lime) CaO which occurs as a product of coal seam fires and in altered limestone xenoliths in volcanic ejecta. The word lime originates with its earliest use as building mortar and has the sense of sticking or adhering. Limestone is calcium carbonate which breaks down with heat. Note: CaO is called quicklime. 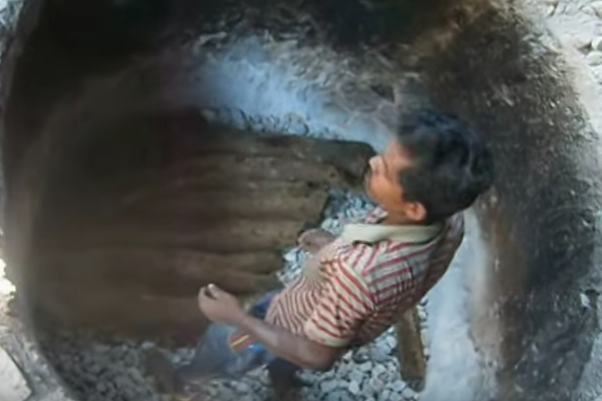 Note that in both videos, the chunks of limestone are added to water after being heated. This is because CaO is not stable and, over time, it will revert to CaCO3. Note: slaking (a geological term) is the process in which earth materials disintegrate and crumble when exposed to moisture. The lime, in the form of Ca(OH)2, can now be used to make cement, plaster/mortar, or concrete. Sand / Silt was collected from the river and drained of water. The quicklime previously fired was crushed into half a pea-sized pieces (in this case, skipping the slaking step…but using the material immediately) and added to the sand at a ratio of 1:2 and mixed thoroughly. Then water was added to allow the chemical reaction to begin and added throughout mixing as water escaped as steam. The ancient Maya used the slaked lime to both join rocks and plaster a finished wall, in order to build their massive cities. 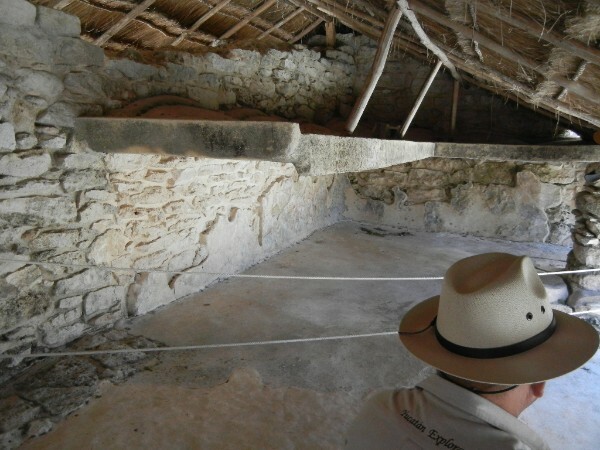 Original stonework and plaster in a protected section of a ruin (Dzibilchaltun, in northern Yucatan). 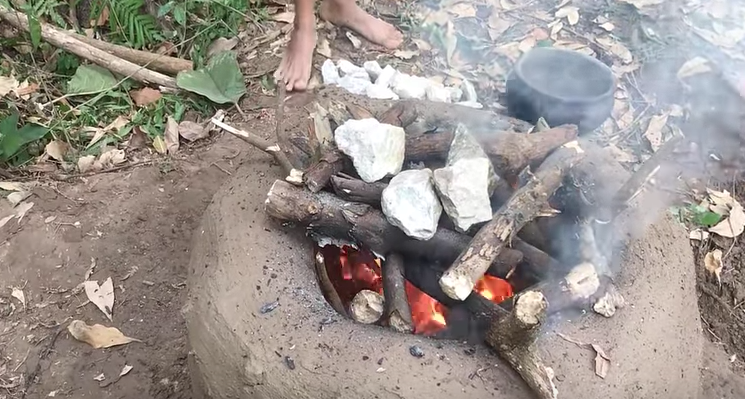 Now let’s look at cooking maize. Plain cooked maize kernels are deficient in niacin. 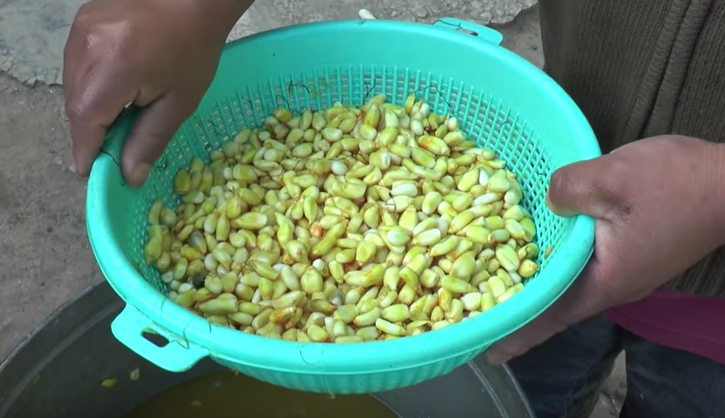 But cooking them with lime (in a process called “nixtamalization”) enables more of the maize’s nutrients to be available to our bodies. The ancient process of nixtamalization was first developed in Mesoamerica, where maize was originally cultivated. There is no precise date when the technology was developed, but the earliest evidence of nixtamalization is found in Guatemala’s southern coast, with equipment dating from 1200–1500 BC. Which should not be a surprise given that they had larger populations and larger cities than Europe before and during the Middle Ages. And don’t forget the ancient Maya had a “zero” in their number system (more on that later). This entry was posted in Mesoamerica, Northern Yucatan and tagged Collapse, Lime, Maize, Maya, Plaster on April 29, 2018 by Walt Socha.